How is it possible to change the speed and lapse of time solely through musical means? That is what we will attempt to demonstrate during the talk. If the experiment is a success, nothing will ever be the same again. And besides, aren’t before and after fully interchangeable realities? Nicolas Gilbert studied composition and analysis at the Conservatoire de musique de Montréal and at McGill University. 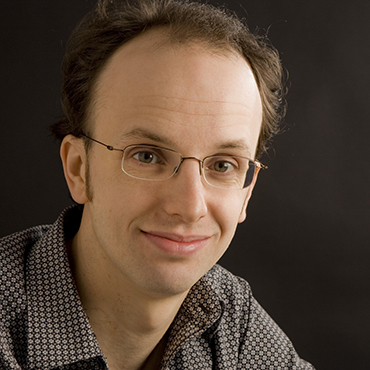 Not only is he an acclaimed composer, but he has written four novels and spearheaded youth projects, and is currently a composer-in-residence with the Orchestre symphonique de Laval. Whether it is chamber, orchestral or vocal music, his works can be heard in nearly 15 countries throughout America, Europe and Asia, and his music is performed by famous ensembles worldwide. Recognized by his peers, Nicolas Gilbert has won numerous awards in local and international competitions.